Rovio released its first financial figures this week, but the company has not decided when, where or whether to go public. 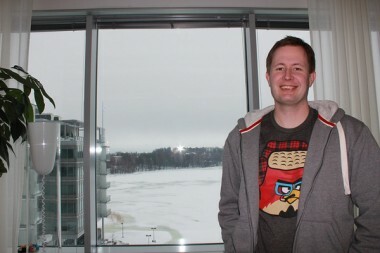 Of course, Rovio’s biggest owner is Hed’s father, Kaj, who mortgaged his own parents’ house to keep the company going during earlier dark times. These days, of course, the business is thriving. The company took in $106.3 million in revenue, with pre-tax profits of $67.6 million, a whopping 64 percent of its total revenue. The company also noted on Wednesday that it has hit one billion cumulative downloads for its various Angry Birds games. Nokia also confirmed this week that Rovio is working on a Windows Phone version of Angry Birds Space, which has already been downloaded millions of times for iOS, Android, Macs and PCs. For more on Rovio, check out the series of stories from earlier this year, when AllThingsD paid a visit to the company’s roost in Finland.